REOPENING: It’s been three years and $120 million, but the Museum of the Moving Image in Astoria is very much ready for its post-renovation close-up. 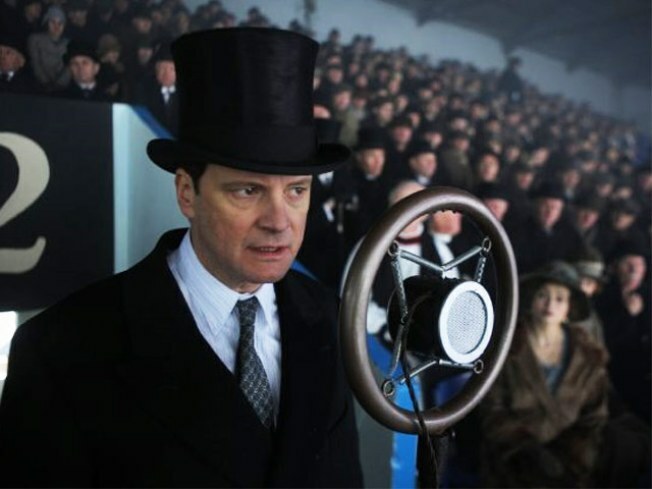 This weekend, it reopens to the public and kicks off a star-studded six-week run of events, such as a special screening of The King’s Speech on MLK Day (when—bonus!—admission is free), followed by a Q&A with Colin Firth and other members of the cast (Monday, 7PM). See more events/exhibitions/goodies at the MOMI site. BRINE AND ROSES: Most of the time, the only vaguely maritime thing about Atlantic Avenue is its name – except, of course, when scruffy neighborhood pub The Brazen Head throws its Tri-Annual Winter Clam Shuck. Prices are positively retro (Blue Point oysters are $1, littlenecks are $4 for a half dozen), meaning the only thing holding you back is your appetite for mollusks and your ability to pace yourself through $5 craft ales from Long Island like Blue Point and Southampton. Saturday, 5-10PM. JONESING: Let’s all take a moment to absorb the fact that The Raiders of the Lost Ark—the little film that gave us Indiana Jones—came out 30 years ago this year. (Cough.) Now that we’ve got that sobering mortality check out of the way, another fact is it’s still one of the most satisfying action movies ever made (Steven Spielberg + George Lucas = gold.) See it again on the big screen when the Landmark Sunshine holds midnight screenings Friday through Sunday nights, 12AM. SHINDIG: For their annual Martin Luther King, Jr. celebration, label/promoter Giant Step turned to DJ Questlove of the Roots, who fêted the tribute day last year with a perfectly sweaty bash at Southpaw. He’ll be joined by MC Yameen Allworld, and you can expect the busiest man in ’frobiz to mine his encyclopedic record collection for some special treats for this party’s theme: “music and freedom.” May we suggest comfortable shoes? Here’s hoping your employer recognizes MLK day so you can stay ’til 4AM and sleep all Monday. Sunday, 10PM. SPEAKING OF SEAFOOD: Q: If you book a Zipcar to drive to Sheepshead Bay for lobster—because you heard that Jordan’s Lobster Dock (the business that inspired the movie Brooklyn Lobster) was selling the tasty critters “at cost” for the first time in 40 years—are you still saving money? A: Yep—because the snow left Jordan’s with 5000 lb. of clawed inventory, they’re available from $6.99 a pound, live or steamed. 9AM-11PM Friday and Saturday, 9AM-10PM Sunday and Monday. DEALS: You may feel like you’re all shopped out yet, but allow us to revive you with these words: Charlotte Ronson, 75% off. The discount applies to fall/holiday collections (they’re also taking 50% off resort pieces) and kicks off Friday. Charlotte Ronson, 239 Mulberry Street; 212-625-9074.